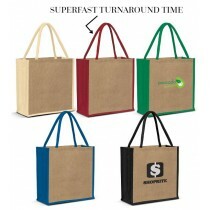 Jute bags are fast becoming the bag of choice for many businesses and events around Australia. 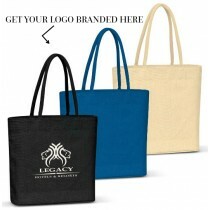 At Planet Bags, you can buy jute bags online printed with your branding. All our printing is done in Australia, using our stock which we store locally to save you time and freight cost. 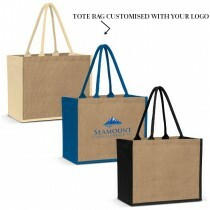 One of the main appealing characteristics of promotional jute bags is the fact that they look so smart and so unique. The style of these bags make them appear warm and familiar, and they have a texture and grain that make them instantly recognisable. We carry brown bags only. However, coloured dye options are available through our custom indent option. 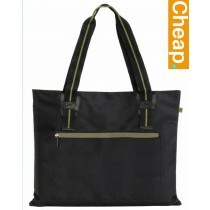 The name of the fabric is conveniently the name of the style of bag. 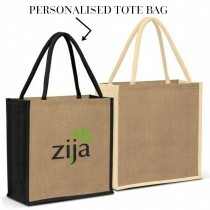 Jute is a material that is natural, making it possibly the most environmentally friendly raw material used to make bags. This is even compared to cotton, as it does not go through an intensive bleaching process. Typically, raw jute comes in long soft strands that are then turned rapidly to create strands of fabric. This fabric is then knitted to create Jute Fabric. We produce Jute from plants, meaning it is a vegetable fibre. Jute is the perfect eco-friendly option when you don't want to compromise on an authentic rustic look! 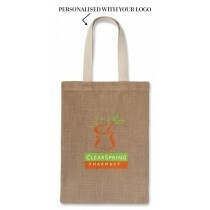 Due the the coarse nature of the jute material, branding on jute bags can only be done using spot colour screen printing. We can print in whichever Pantone colour you desire. 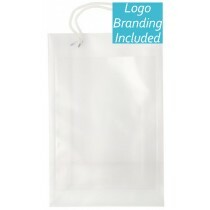 Sadly though, we do not provide full colour printing on Jute bags, as using a full colour print on the jute material typically leads to poor results. 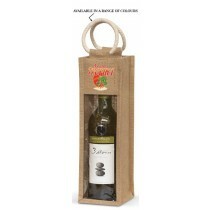 As jute bags are made from vegetable fibre, they are not waterproof or water resistance. 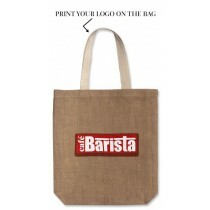 Jute bags are easy to care, as they do not get dirty easily. If there is dirt, you can simply wipe it with a damp cloth.